Oh my goodness. Hahaha! That is so crazy with your cats doing that. I’m glad you like it. 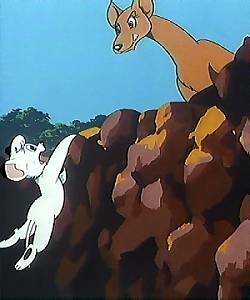 Some people get defensive whenever I mention Kimba because of that controversy, but it’s awesome you still appreciate it. Sorry for thinking those were your cats. The meme still works regardless. Hahaha! No problem, Scottie. I know I’ve been open in being a fan of Kimba the White Lion on this and my film review blog, but I don’t want to overdo it. I guess one can’t have too many cats around…well, except for scooping the box. Maybe you and your husband can have a 50/50 share in scooping every day or week, but it’s good he’s great with everything else in your life though. Cats can also be therapeutic or calming.